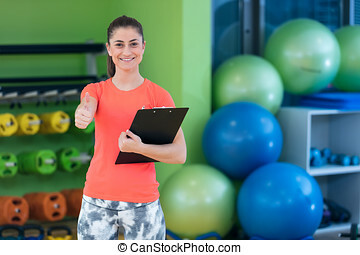 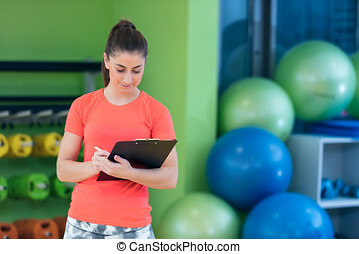 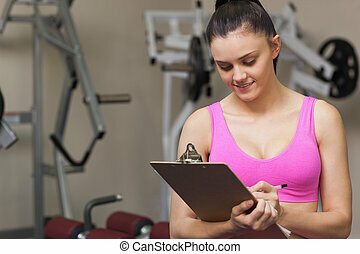 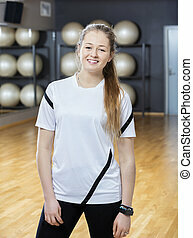 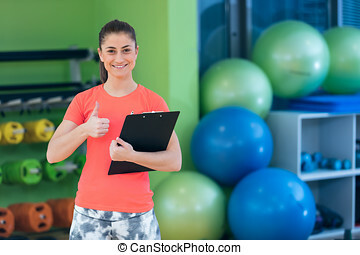 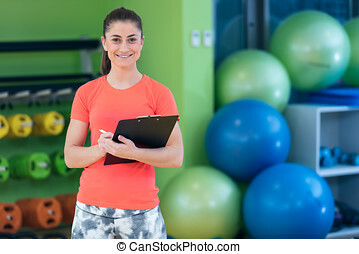 Portrait of smiling female fitness instructor writing in clipboard while standing in gym. 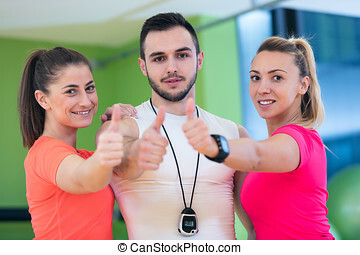 Fitness class showing thumbs up in gym. 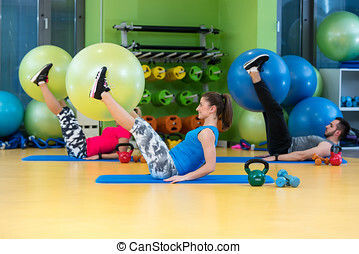 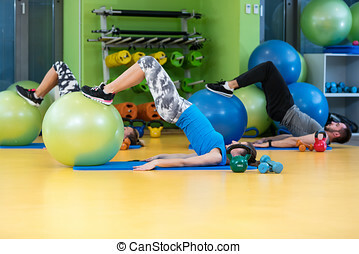 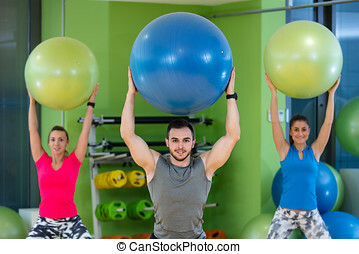 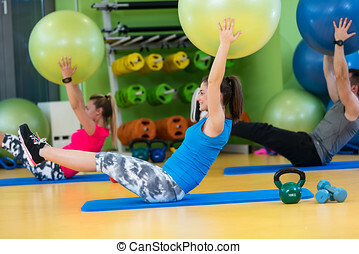 Group of people in a Pilates class at the gym. 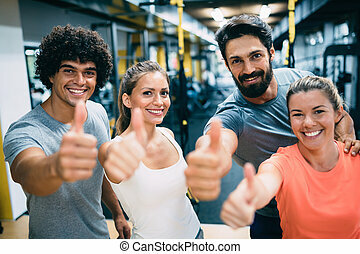 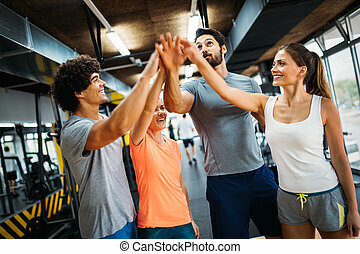 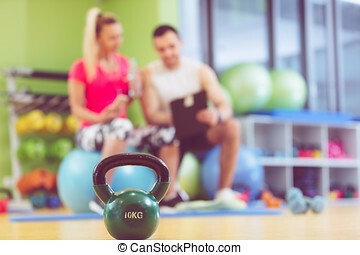 Group of sportive people in a gym taking selfie - Happy sporty friends in a weight room while training - Concepts about lifestyle and sport in a fitness club. 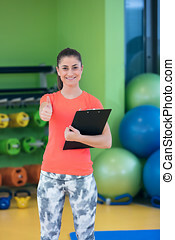 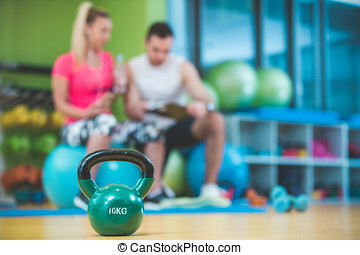 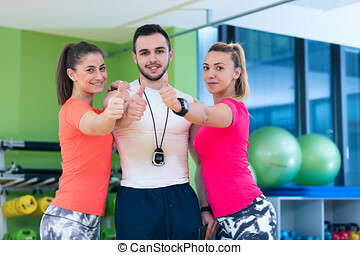 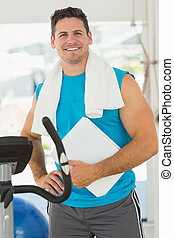 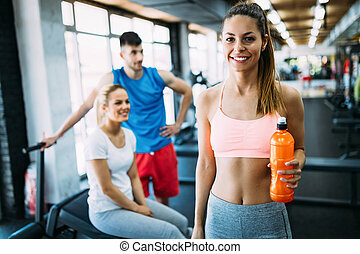 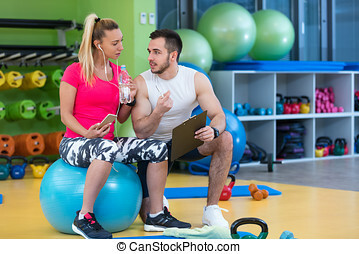 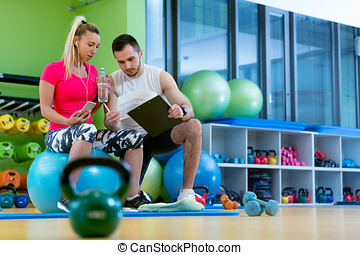 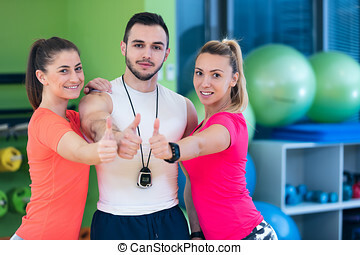 Smiling fitness instructor discussing with man standing in gym. 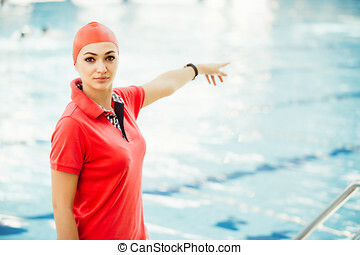 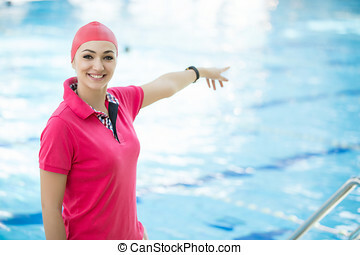 Portrait of female coach with a stop watch and clipboard by pool at leisure center.